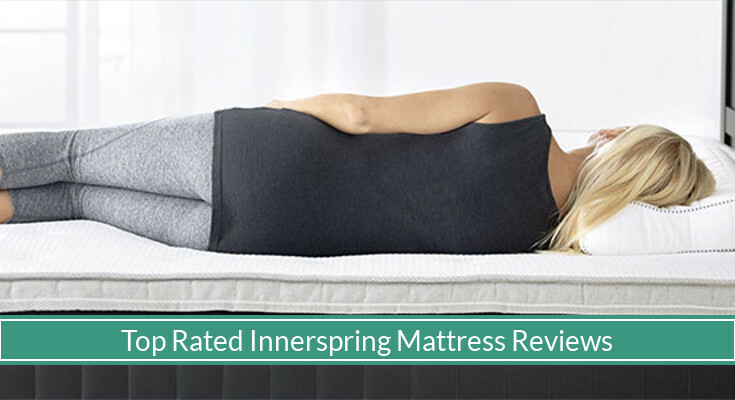 Also known as coil mattresses, innerspring mattress beds are build with a layer of steel spring coils that provide deep compression support and bounce that makes a bed comfy for sleep. Compared to mattresses made from memory foam, coil mattresses can bounce back when you sit on them and that prevents sagging or sink spots. Although they do not contour to the curves of your body as well, modern coil mattresses are built with a thin layer of foam or are hybrids with thicker layer of memory foam to provide that soft surface support without compromising the firmness of your mattress. So, without further ado, here are the top innerspring mattress reviews. 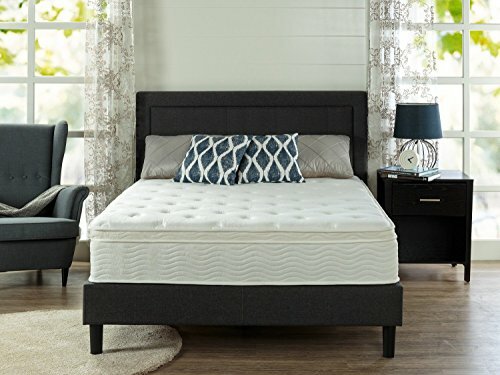 The Signature Sleep Contour Mattress is a double-sided 8″ spring coil mattress with two layers. The top and bottom surface of the mattress is a 0.5″ of high-density foam for comfort and support. This foam contours to the curves of your body for fewer pressure points and better sleep. In between the top and the bottom layer is 7″ of 15-gauge independently-encased coils for evenly distributing body weight and relieving pressure points. The cover is made of soft, polyester cotton jacquard for a comfortable surface. The mattress is made with CertiPUR certified foam and is available in multiple sizes. The Signature Sleep Contour Mattress comes with a 1-year limited warranty. Most reviewers would agree that the mattress is super soft and of high quality. 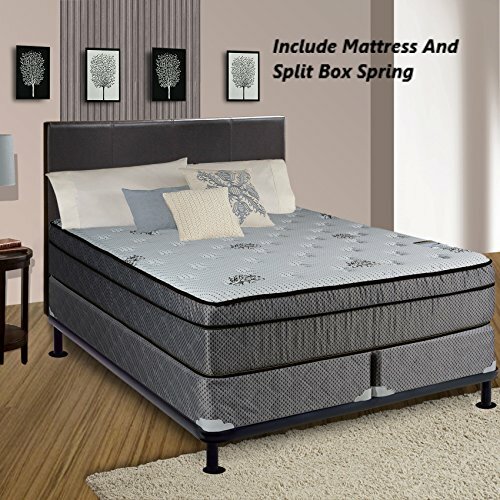 For such a low price classed spring mattress, it is firm and comfortable, as well as convenient to set up because of its light weight relative to other mattresses. Few reviewers have, however, reported the mattress to be too firm for them. Spring mattress tends to be much more firm compared to foam mattresses. Otherwise, most reviewers love the firmness and enjoy this mattress much more than previous mattresses. The Zinus Sleep Master Ultima Comfort Mattress is a euro box top spring mattress with iCoil Pocketed Springs system that comprises of hundreds of independent iCoils. The iCoil system minimizes motion transfer so you and your partner can rest peacefully with minimal disturbance. This product comes in four different heights and five different sizes. Available mattress heights are 8”, 10”, 12” and 13”. Available sizes are the twin, twin XL, full, short queen, queen, and king sizes. For the 8″ mattress, there is a tight top layer of 0.5″ of pressure relieving comfort foam. The remaining 7.5″ is iCoil Pocketed Springs. The 10″ mattress is also a tight top layer but is 1.5″ of comfort foam. Below is the second layer of 0.75″ of high-density foam for maintaining proper body alignment. The last layer is 7.5″ of iCoil Pocketed Springs. 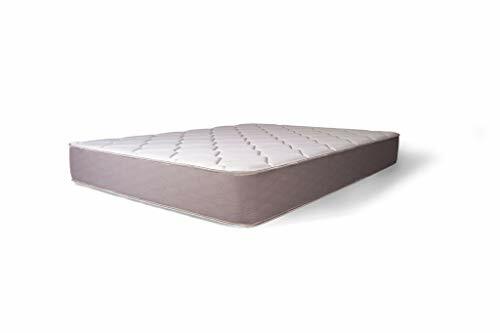 The 12″ mattress is a Euro Box Top, with 1.5″ of comfort foam, 2″ of high-density foam, and 8.5″ of iCoil Pocketed Springs. The 13″, with a luxurious look and feel, is a euro box top with 4.5″ of comfort foam, 0.5″ of high-density foam, and 7.5″ of iCoil Pocketed Springs. All the mattresses are foam and fiber quilted covers with Jacquard fabric. The mattresses also come with a 10-year limited warranty. Reviewers of the mattress can agree that the mattress is a very good mattress. Although the mattress is reported to be unable to support a combined weight of 600+ pounds without sagging after a few months use, most reviewers report that it is comfy overall and the iCoils are springy and can take a lot before it comes close to flatten out. Continental Sleep, 13-Inch Soft Foam Encased Hybrid Eurotop Pillowtop Memory Foam Gel Innerspring Mattress And Wood Traditional Box Spring/Foundation Set, Good For The Back, No Assembly Required, California King Size 84" x 72"
The Continental Sleep Fifth Ave Collection Bed Set is a 21″ total height, soft euro top bed set. 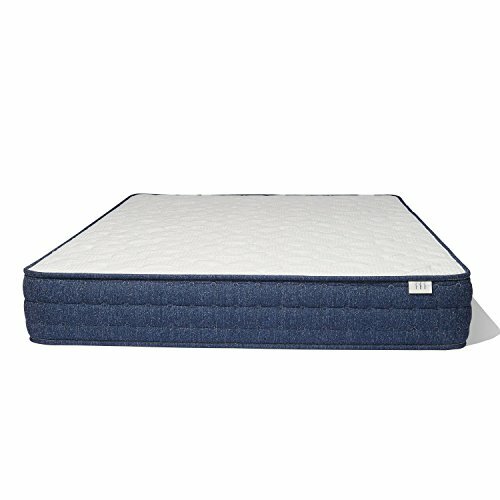 The coil mattress is 13″ and the base is 8″ of durable wood. It is built with over 300 foam-encased springs with high-density foam edge support so you can sleep and sit on the edge without sinking. Each side of the mattress has 3″ of high-density firm foam pads. The top is 4″ of plush, one-sided Euro pillow with 3″ of high-density foam inside. The cover is Damask fabric cover quilted with 3.5″ of poly foam. The Continental Sleep Fifth Ave Collection Mattress was designed with optimal back support in mind. The orthopedic mattress supports your spine and neck to maintain a properly aligned sleep. 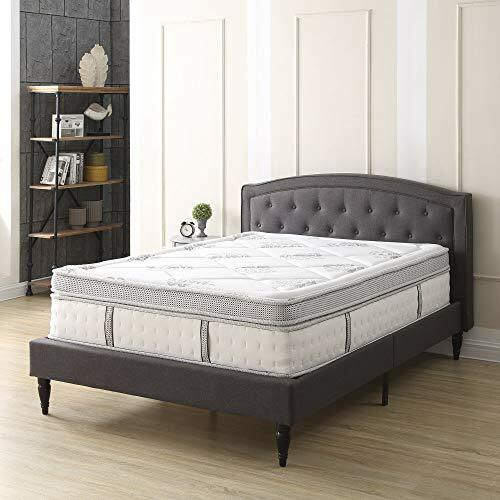 With strong edges and luxurious soft cushion top, this ready-to-use mattress and box spring set is one of the best spring mattresses in the market. There are seven sizes available for the mattress. There were two reviewers reporting the mattress being noisier than expected. Continental Sleep has since contacted the individuals and helped them with their noise issue. Regardless of any noise, most reviewers have reported the bed to be really nice, firm, and comfortable. Most reviewers would agree that they are very pleased with the bed set. The Dreamfoam Bedding Springs Dreams Mattress is a 9″ two-sided coil mattress. This mattress has more individually wrapped coils than most spring mattresses, offering amazing weight distribution for pressure relief and takes away a lot of motion that might disturb your sleeping partner. The mattress cover is quilted with foam and fiber, which makes the mattress durable. The product is made in the USA and comes with a 10-year warranty. One drawback is the edge is not well supported, although reviewers have reported the edges are not an issue. Since the mattress is made of pocket coils, the sides and surface will spring back up very easily. Recent reviewers have found this mattress to be very comfortable and easy to set up. For its price class, reviewers have also reported that the mattress is beyond worth the money. It feels firm and is firm enough to support back pain. The mattress fabric has also been reported to feel like an expensive mattress. The Classic Brands Gramercy Mattress is a 14″ hybrid mattress with memory foam and innerspring for a medium feel. Individually wrapped steel coils base prevents motion transfer between partners and memory foam provides the comfort of relieving pressure points by contouring to the curves of your body. This euro-top hybrid mattress has six layers of foam on top of the coils, and a nicely quilted pillow top knit cover for the ultimate, luxury experience. The mattress comes with a 10-year warranty and is CertiPUR certified. Please be aware that the foundation/box spring is not included. An Amazon Vine reviewer has left an amazingly detailed report on how well the mattress did for him. One of the biggest drawbacks is that the mattress can very heavy. (The king size weighs roughly 120 pounds.) However, the mattress is extremely comfortable, conforms well to his body, provided a good, quality rest. One final note by the reviewer is to be careful when unpacking as the mattress springs open with a huge snap. Also, you cannot jump very high on this mattress because it absorbs force from motion so well. The Best Price Mattress Pocket Foundation is a 8″ pocket coil spring mattress. You can purchase the mattress by itself or with one of four selections for a base. The mattress comes with a 10-year warranty to protect you from any defectiveness. There have been a lot of positive reviews for the Best Price Bed Set. Reviewers have reported the mattress is comfortable, firm, and easy to set up. Reviewers who purchased a bed set with steel frames reported that the frames were easy to setup. Most reviewers would agree on the mattress by itself is good for the money. The Brentwood Home Avalon Mattress is a firm feel designed to be the best mattress for back and stomach sleepers. This mattress is 10″ of therapeutic foam and individually wrapped base coils. The cover is a stretch knit made to be breathable to keep the surface cover cool and fresh for deep sleep. The top layer is a New Zealand Wool that is all natural and made to wick away moisture, act as a natural fire barrier, and help regulate body temperature by staying breathable. Below the New Zealand Wool is 2″ of therapeutic airflow foam that allows further breathability from the body down into the mattress to stay cool. 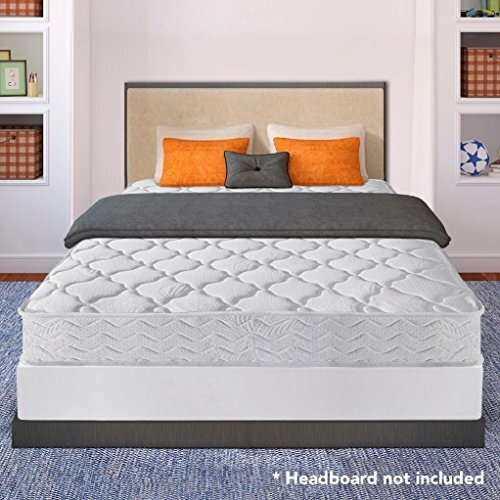 This foam layer also provides support and comfort by allowing the mattress to contour to the curve of your body and relieve pressure points that may keep you up at night. At the base is 8″ of individually wrapped coils, with five major “zones” or groups of coils that provide the firm and comfortable bounce for a quality sleep. Each group of micro coils is placed strategically to provide extra support for your feet, head, and lumbar area. This minimal-sink mattress comes with a 25-year warranty and is CertiPUR certified. One drawback of the Brentwood Home Avalon Mattress is its weight. Most reviewers have mentioned the mattress is extremely heavy, which means you may require at least two people to carry when your mattress arrives at your doorsteps. However, most reviewers were mindful of the weight possibly coming from having more coils and other materials built in. There are six sizes available for the mattress, from twin to California king. In the queen size, there are nearly 800 individually wrapped base coils for a full body support. There is minimal motion transfer which also means your partner and yourself will have minimal disturbance. We hope you found this guide useful for helping you find and pick the best spring mattresses for your need. In this guide, we listed the seven top, best-rated coil spring mattresses. 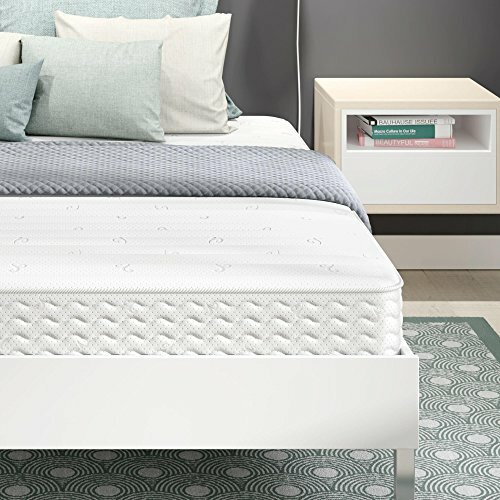 One important tip to keep in mind when shopping for a coil mattress is that even though memory foam mattresses can be placed on the floor and slept on, it’s important to use a boxspring or foundation to place your chosen spring mattress on so that it lasts longer (and not void your mattress warranty). Spring mattresses can take a beating. Most manufacturers and sellers have mattresses with hundreds of independently encased coils that help your mattress retain its shape. Thanks to these coils, the next time you hop onto your spring mattress to sleep, you will find a bouncy, firm surface for years of quality sleep. Have a question or comment? Let us know in here in the comment section!